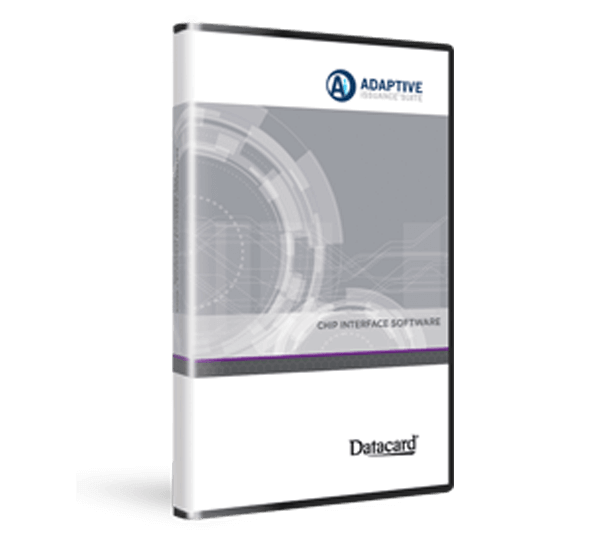 Datacard® Adaptive Issuance™ Suite is a complete family of products for secure document issuance. Datacard® Adaptive Issuance™ Chip Interface Software allows for the management of personalization smart card applications on a central server, and drives any number of personalization systems for central issuance and decentralized issuance. Chip Interface provides a hardware and industry-agnostic platform for developing and implementing customized smart card personalization applications with complete management of the couplers with efficient, flexible and scalable features. The system configuration may need to be adjusted depending upon the number of personalization system equipment and the smart card application profile.